Daliah Saper is honored to receive the Chicago Social Media Marketing Group’s award for Chicago Social Media Ambassador of the Year. Daliah was recognized for supporting and educating the Social Media community about the various legal implications of Social Media. Daliah Saper was quoted in Techinsurance.com’s article, “Advertising Injury Protection for Technology Businesses.”where she discusses what can happen to business owners who advertise false things about their competition or their products. Daliah Saper, a Market Expert for Business.com, recently contributed a new article discussing the implications of using trademarked words in “search-term” or “keyword” advertising and how to avoid a trademark infringement lawsuit. Read “Can I Use a Competitor’s Trademarked Words in Keyword Advertising?” on Business.com! Daliah Saper, a Market Expert for Business.com, recently contributed a new article titled, “Not Just a Game.” This month’s article addresses how a business may use online sweepstakes or contests to attract customers, build traffic, and increase brand awareness. Read “Not Just a Game“on Business.com. Daliah Saper, a Market Expert for Business.com, recently contributed a new article titled “When Bad Reviews Hit: Should You Call Legal or PR?” This week’s contribution addresses how a business should deal with negative, online reviews. Click here to read the full article on Business.com. Fox Live - Twitter Bot Interview - Daliah Saper - Principal, Saper Law from Saper Law on Vimeo. Daliah to Present at Lunch/Learn Chicago Title Continuing Legal Education Seminar Roanoke Restaurant 135 W. Madison St.
Daliah has been invited to speak at a Continuing Legal Education Seminar on April 2, sponsored by Chicago Title Insurance Company. At the Seminar, Daliah will discuss social media best practices, social media management and what to avoid on LinkedIn, Facebook, Instagram & Twitter. Click here to learn more, and RSVP. The Oregon State Bar has invited Daliah to speak at the 32nd Annual NW Bankruptcy Institute on April 5-6 in Portland, Oregon. As a part of the OSB-CLE Seminars, the Institute will address legal ethics and social media, share tips and strategies tor using social media to develop and enhance a bankruptcy practice, cover topics including Chapter 7 and 13 Trustee hot topics, student loan considerations, Chapter 11 cramdown interest rates, and the highs and lows of marijuana business bankruptcy. 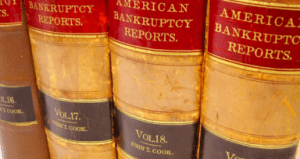 A 9th Circuit case review discusses recent developments, while the Judges Roundtables will provide opportunities to speak with Oregon and Washington bankruptcy judges. Click here to view event itinerary. Saper Law’s Fashion Practice presents another fabulous Style Seminar Featuring Internationally Renowned Designer, Azeeza Khan, Stylist, Tali Kogan, and Social Media Attorney Daliah Saper! – Stylist Tali Kogan will guide you through the latest Spring looks and show you how to integrate 2019 trends into your current wardrobe. 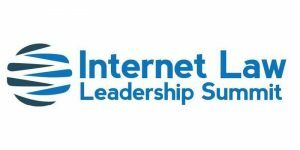 On April 24-26, Daliah will travel to the ARIA Resort & Casino in Las Vegas to speak at the Internet Law Leadership Summit. The invitation-only event, held semi-annually since 2011, features leading internet lawyers from around the country. On Thursday, May 16th, Daliah Saper will speak at The Master’s Conference for Legal Professionals, which will be held at Seyfarth Shaw in downtown Chicago. This year’s conference brings industry leaders to present on topics ranging from CyberSecurity, Blockchain, GDPR, eDiscovery, Information Governance, Social Media and the changing landscape in legal technology. Daliah, along with a number of other distinguished attorneys, will give a presentation on the legal consequences and costs of social media use. TIME: 12:30 p.m. – 1:35 p.m. Photos and recap from "Style at Saper" Seminar!